Coral, fried fish, cachaça, sail boats and a natural pool. This is Piscina Natural Pajuçara in Maceo, a unique place a kilometer from the shore where everything can happen. 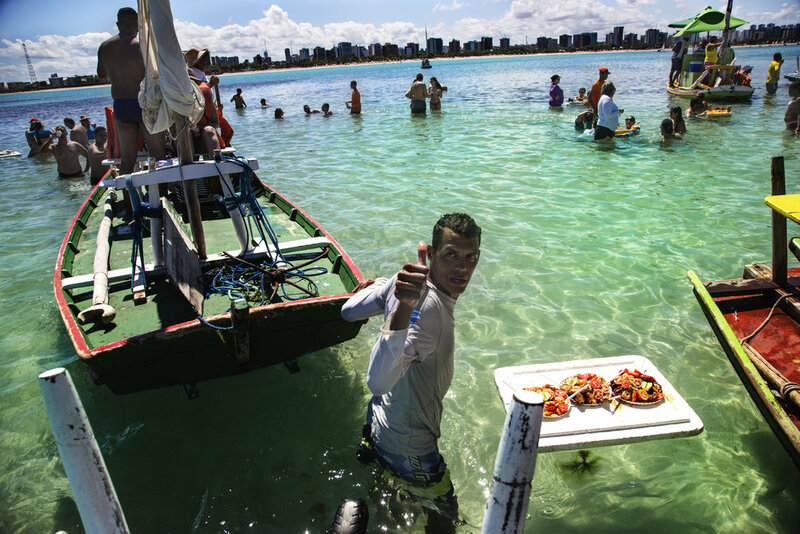 Exquisite floating food, lobster and fish mainly is carried by the garçon to you whenever you need it, a totally surreal experience that I recommend 100% if you are in northeastern Brazil.